Want to live longer? Well, evidence from a study this year suggests that getting castrated before you're a teenager could gain you a couple of decades. In fairness that would be some of the worst advice you're ever likely to receive - but some more promising scientific findings did also emerge. Let's begin with cancer, because 2012 may be the year that not only changed our understanding of the disease, but showed us where the future of diagnosis and treatment lies. A groundbreaking study revealed that breast cancer is not one, but 10 separate diseases - each with a different cause, a different life expectancy and needing a different treatment. Breast cancer cells should be classified into one of 10 different diseases, say researchers. Researchers made the discovery by analysing mutated DNA inside the tumours of 2,000 patients. The vision for the future is that patients will have DNA from a tumour analysed and be given a treatment devised for their exact subtype of cancer. And it's not just breast cancer. The UK government has announced plans to analyse the DNA of up to 100,000 patients with cancer. The debate around whether we should all be taking aspirin to prevent cancer emerged several times through the year. A low dose of aspirin every day can prevent and possibly even treat cancer according to one report, but carries too great a risk of causing bleeding in the brain and gut, said another. There was genuine delight when abiraterone, which extends life for patients with terminal prostate cancer, was approved for use after some tough negotiating. Significant advances were made in the past year towards restoring movement to paralysed patients. Jan Scheuermann, who is 53 and paralysed from the neck down, was able to deftly control a robotic arm with the aid of two sensors implanted inside her brain. Tiny needles on each chip picked up the electrical activity from about 200 individual brain cells. This was converted into instructions to control the arm. Cathy Hutchinson had a similar procedure. The video link below shows her having a drink unaided for the first time since a stroke 15 years ago. 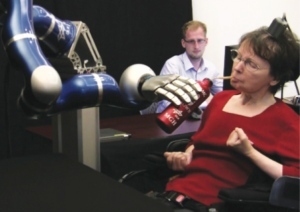 Using a robot arm, 'Cathy' was able to lift a bottle for the first time in 15 years. There is a dream of using electronics to reconnect the brain to paralysed limbs to help them function again and even to give prosthetics a sense of touch. Paralysed rats were able to walk again after their spinal cords were bathed in chemicals and zapped with electricity. And a purely biological solution was found for one a paralysed man in the US. He was able to regain limited use of his hand after pioneering surgery to rewire his nerves and bypass damage to his spinal cord. Meanwhile, monitoring brain activity allowed a Canadian man, who was believed to have been in a vegetative state for more than a decade, to tell doctors he was not in any pain. It's the first time an uncommunicative, severely brain-injured patient has been able to give answers clinically relevant to their care. Two pioneers of stem cell research John Gurdon, from the UK, and Shinya Yamanaka, from Japan, shared the Nobel prize for medicine or physiology. As a quick aside, if you haven't seen it yet you really should check out Prof Gurdon's school report which tells the Nobel prize winner that pursuing a career in science would be a waste of time. The potential of tinkering with cells was proved time and again this year. 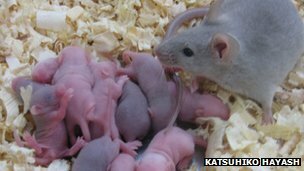 Baby mice were made from a sample of skin which had been converted into eggs. The mice were healthy and went on to have kids of their own. Deaf gerbils had their hearing restored - the first time the feat had been achieved by using stem cells in animals. 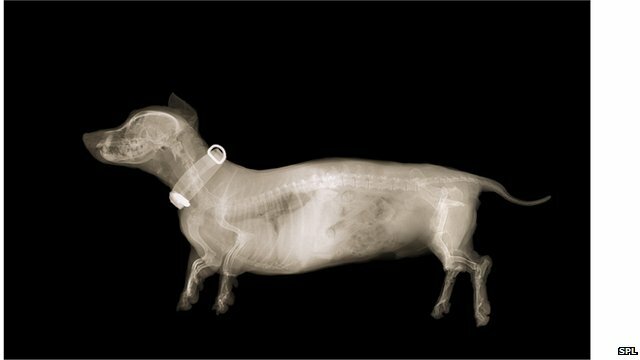 Great strides are being made in animal research, but a trial of stem cells in blind patients has also had a promising start. There were also breakthroughs in getting hold of the raw materials needed to make stem cells after teams managed to make them from blood and urine. Unlocking the potential of the human genome had some interesting and important moments this year too. 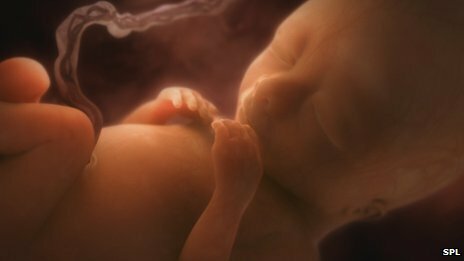 Scientists cracked the entire genetic code of a foetus 18 weeks into the pregnancy. They used fragments of the baby's DNA, which were floating about in the mother's blood. The technique could be used to test for genetic diseases and abnormalities, which is bound to provoke ethical debate. The use of genetics was used to stop an outbreak of the hospital superbug MRSA. Researchers managed to track down a member of staff who was unwittingly spreading the bacterium to babies in a hospital in Cambridge. A virus was used to rebuild the heart's own pacemaker by adding genes to force heart muscle cells to change into those able to control the heart's beat. And the term junk DNA "must now be junked" according to scientists involved in a massive effort to work out what our genome is actually doing. The idea that swathes of our genetic blueprint serves no useful function looks to be wrong - we simply just don't know what it does yet. It was a busy year for vaccination in the UK. 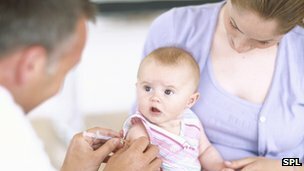 The worst outbreak of whooping cough for two decades led to an emergency programme to vaccinate hundreds of thousands of pregnant women in order to protect their children. Thirteen babies have died in the outbreak this year. It was also announced that all school children are to be vaccinated against seasonal flu each year. However, there are concerns there are not enough school nurses to make this happen and the programme will not start until 2014 at the earliest. There was also a decision to give babies a jab to protect them from rotavirus which causes tens of thousands of cases of vomiting and diarrhoea each year. It will leave the UK with one of the most comprehensive vaccination programmes in the world. A decision on a shingles vaccine will be made in 2013 and there is a bid to get the first meningitis B jab licensed. However, there have been problems internationally. The killing of polio workers in Pakistan and the subsequent suspension of the vaccination campaign will hinder efforts to eradicate the disease which is now confined to just three countries. 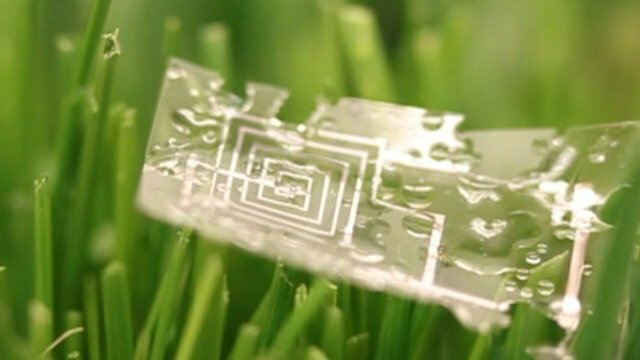 Researchers devised electronic sensors which could melt in the body once their job was done. Black mamba venom was discovered to contain a painkiller that was better than morphine. It emerged that conspirators murdered Egyptian King Ramesses III by slitting his throat. And scientists undertaking some of the more stomach-churning studies of 2012 found faecal transplants can treat the hospital infection Clostridium difficile, and parasitic worms can do a similar job for diarrhoea. To come full circle, researchers argued that male hormones shortened life expectancy after they found eunuchs lived up to 19 years longer than uncastrated men from the same social class.